Sometimes we get sent toys to review*, many are just lovely and we enjoy playing with them. Some are fabulous and become Bear's favourite. 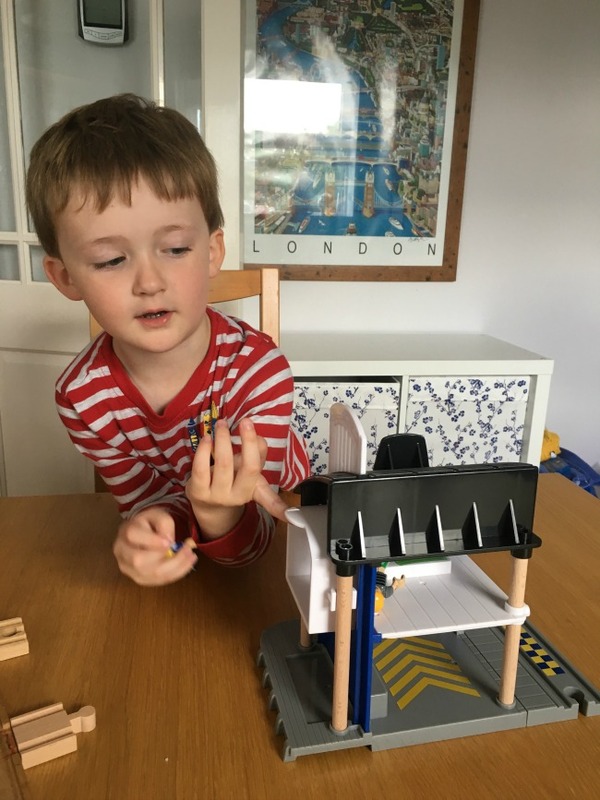 The Brio Police Station is awesome (Bears words) and quickly became his favourite toy. We have had Brio in our toy box since Bear's daddy was small, that's going back to the early 1990s. We still have that Brio, although it's now a little battered. 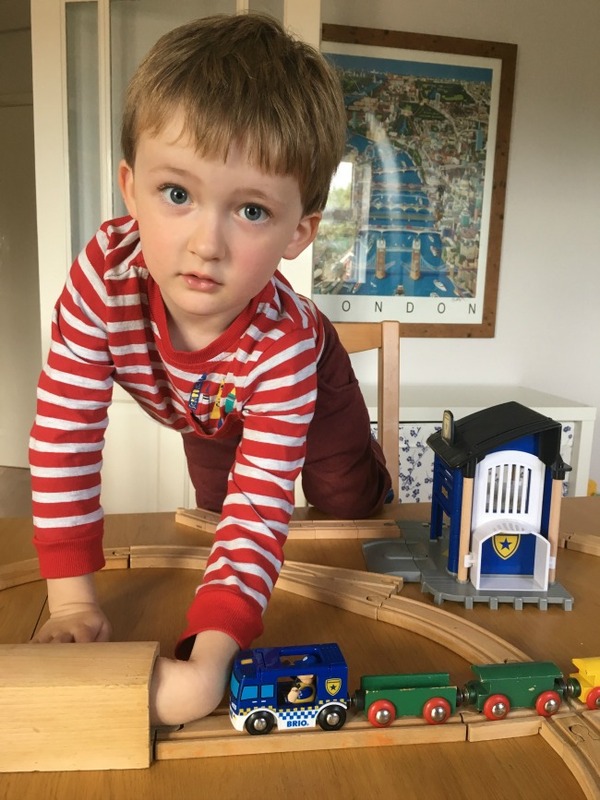 We love that little hands can fit it together and each time it is played with the layout is different. Bear is fascinated by police and bad guys, this is just perfect for him and any child 3+. 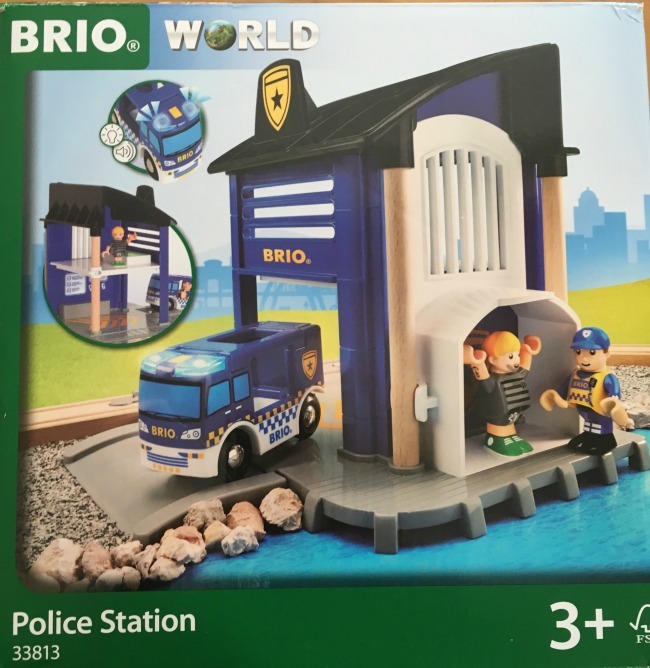 The Brio Police Station includes the station, with a jail; a policeman and a thief figure; a police car with a siren and lights and the batteries; a ramp and a straight piece of track. "Look Nanny! It has a siren and lights". I loved that the batteries are included and the siren is not too loud. It only goes for a few seconds once the button is pressed and unlike many toys this will not drive you mad! Bear was also keen to show me how the jail worked, on the side of the police station is a sliding wall, the elevator to the second floor which contains the jail. This forms the side of the jail with bars and keeps the baddies locked away. Two sides are open, allowing little hands to get in and move the figures. I asked Bear if that was OK? The sides being open, he looked at me as if I was asking a silly question. Of course it's OK, that's how it's supposed to be. We played for ages, the thief would run away and hide and the policeman in his car, would find him, sirens and lights flashing. He would then take the thief to jail. I actually enjoyed playing too. We set it up on the dining room table so I could play and take photos. 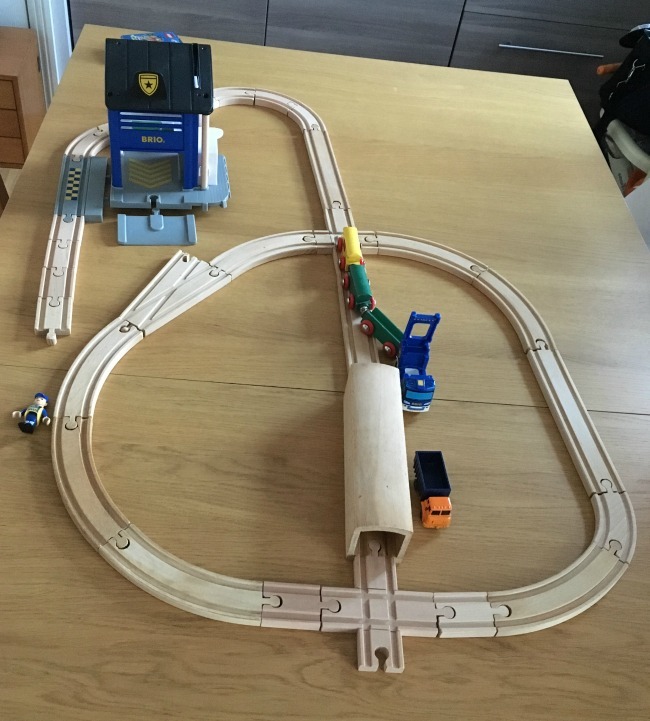 Bear made a track from his old Brio, some of which is 30+ years old, and played after school every day. 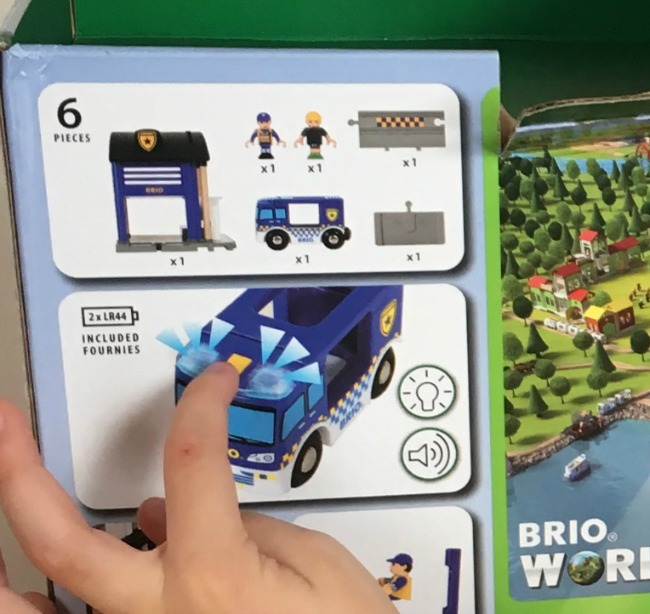 The toys are well made and as expected fit perfectly with other Brio. The police car has a hinged roof so it is really easy to place and remove the figures. Our police car, interestingly, pulls wagons behind it. One is for transporting bad guys and the rest? They are just there. I love the way it stimulates Bear's imagination. 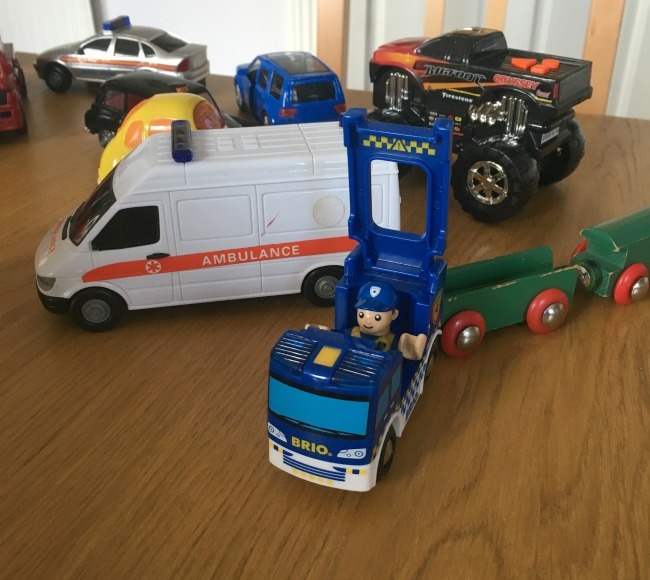 He ran and got some of his favouite vehicles and his new Brio police car fitted right in. We laughed as we played games where the baddie (that's me) pretended to be good, then ran away to rob a bank, or steal treasure and the policeman (the goodie, Bear of course) would catch him and put him in jail. 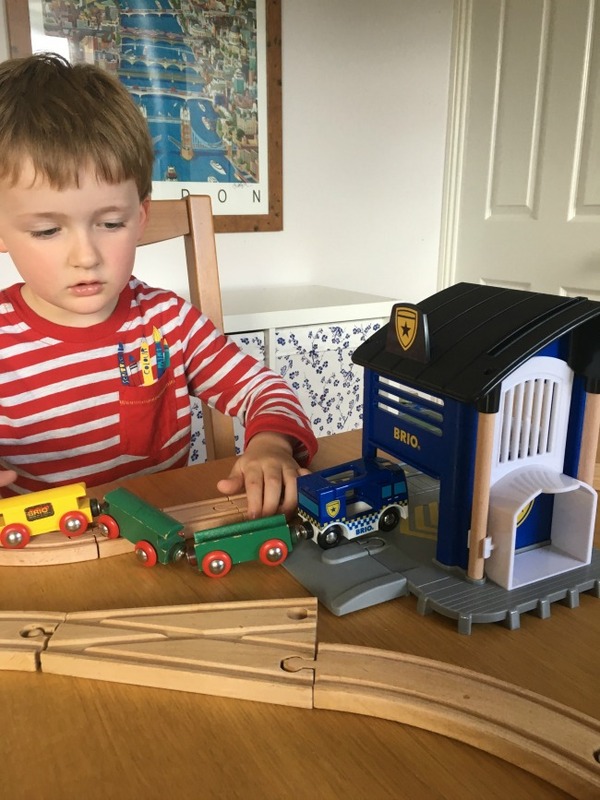 We loved this set, you really can't go wrong with Brio. It is well made and great for little hands. 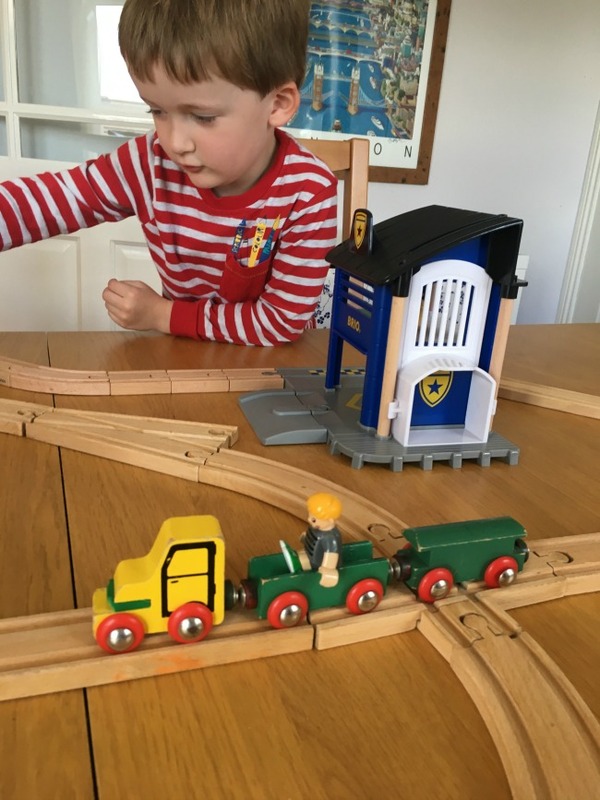 This set compliments the wooden track and would make a perfect birthday or Christmas present. 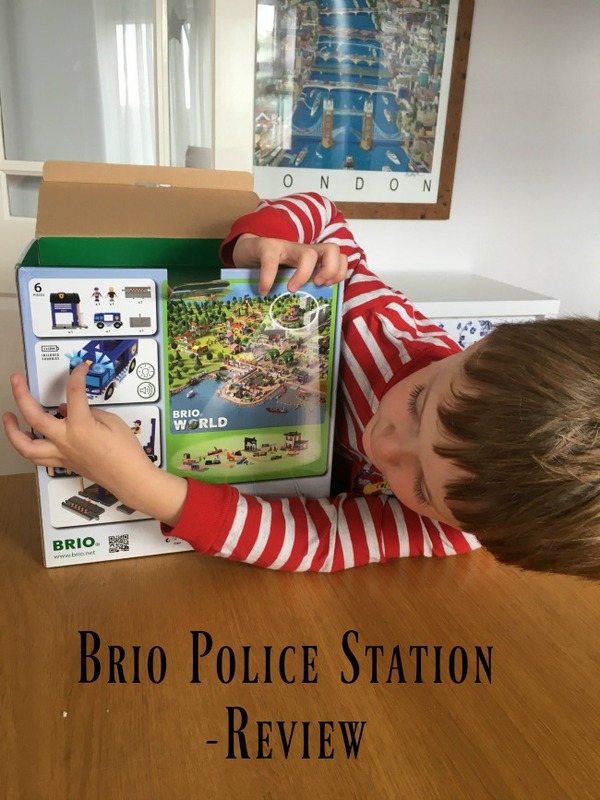 The Brio Police Station is available from toy shops and online and costs £29.99. *We were sent this product for the purpose of a review. All opinions are honest and our own.